Having a bad credit may appear to be the main obstacle when applying for a new loan. The best way to fix your credit is to pay off the debt promptly. There is no better advice then managing your credit wisely and responsibly. However, if you fail to pay on time, have no worries. You still have a chance to repair your score using some effective tips. They may have a good impact on your score although they still require a responsible approach. 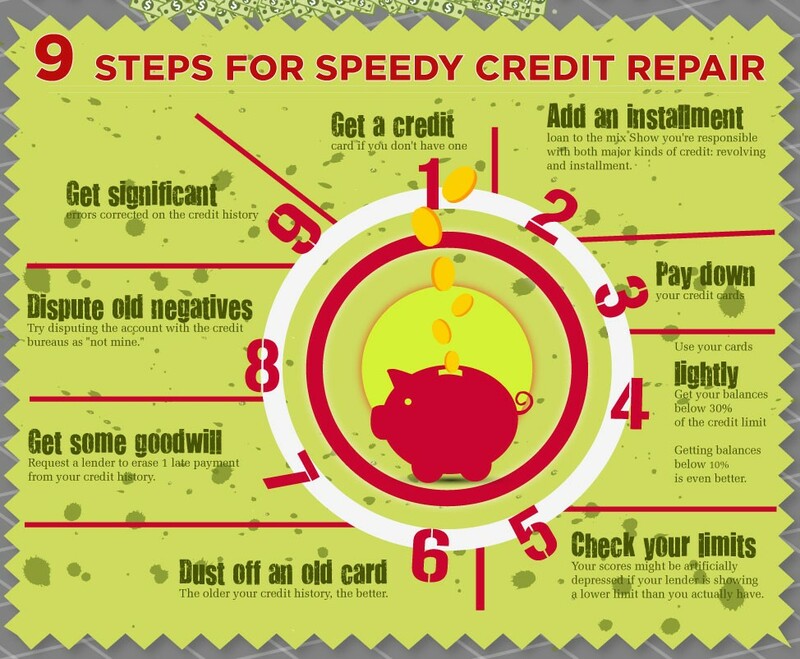 We have reviewed some of the handiest tips and steps to enable our credit repair promptly. – Debt Refinancing with a Personal Loan – another good strategy with a list of benefits for the borrower. First of all, it will give your credit score a boost. At the same time, refinancing with a personal loan will provide extra funds to cope with pay off. – Use 0% Cards – transferring some of your balance to a 0% card is also a good way. Of course, it is not an ultimate remedy to utilize the ratio. On the other hand, you can move some of your debt balance. A higher credit limit might seem a bit risky at first sight. However, it may appear to be pretty helpful whenever you need a credit repair. The result will mostly depend on your financial stability. An increased credit limit delivers flexibility out of the box. For example, you have a credit limit of $1,000. You can put $500 to make the credit utilization of 50%. It will be above the recommended 30%. It also lowers the credit utilization ratio only in case you are able to pay off debt promptly. Missing the payment will result in a rapid worsening of your credit score. Most borrows tend to carry several credit cards. It results in multiple debts, several schedules to pay off the bills, different interest rates, etc. Debt consolidation will let you keep all your costs in one place. Getting a single card for all your credits is a wise decision that has a good potential from credit repairing perspectives. This type of loan has been designed for the credit repair purposes. It is aimed at helping people with little or poor score o as well as those who still do not have any credit history. While convention loans call for a good credit score as well as flawless history, credit-builder loans do not require a perfect score to get approved. All you need is to have a necessary sum of money on your banking account. It will be equal to your credit amount and will be held until you make all necessary payments to cover the debt. This strategy has proved to be extremely efficient. It will certainly have a good impact on our score. Paying on time is the most efficient and risk-free way to repair your credit. Of course, it requires efforts, while some people find it impossible to stick to the schedule. This is where mobile technologies might be helpful. Users can choose from numerous applications that not only remind you when it is time to pay the bills but also help to save money and stick to the budget without exceeding your limit. All you need is to install the app on your mobile device, indicate the money limits and set the table for the payment. The application will automatically notify you every time you exceed the limit or need to cover the debt. Never miss your credit schedule! It is the first reason for the poor credit score. Paying the bills on time is vital. Try to use all possible sources in order to find a necessary sum. Borrow from your friends and relatives, opt for payday loans, no matter what you do, make sure the payment will proceed promptly. If you still get late, have no worries. You can fix the situation by paying off your next bills on time as long as you can. The more you pay promptly after a delay, the better for your credit score. 1. Buy Only Small Things – the idea is to make only small purchases that you can easily pay off when it is time. Avoid huge purchases like real estate or cars. Do some online or grocery shopping to spend less than you can afford. 2. Pay Over the Minimum – a good idea is to pay off with a bugger sum than your minimum payment. Such an approach will certainly have a positive impact on your credit. 3. Make Several Payments per Month – make more payments during the month in case you have some free cash. Even if you pay the full sum once a month, it may still be daunting to improve the score. 4. Set Payment Alerts – never miss the payday. You can be the most organized person in the world but still, miss the deadline due to different reasons. Having a bad credit is no longer fatal for borrowers. The above-mentioned tips have proved to be efficient when repairing the credit. 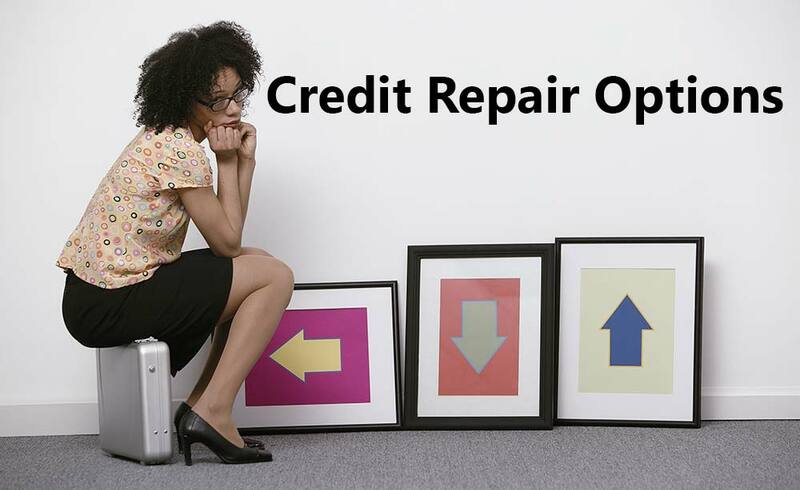 If you still find this task challenging, you can opt for professional help delivered by credit repairing agencies. Free Credit Consultations will provide all necessary info related to your particular issue. Professional experts establish an individual approach to each case to help customers resolve poor credit issues effortlessly.